Your guide to creating a small, smart and sustainable online teaching business. 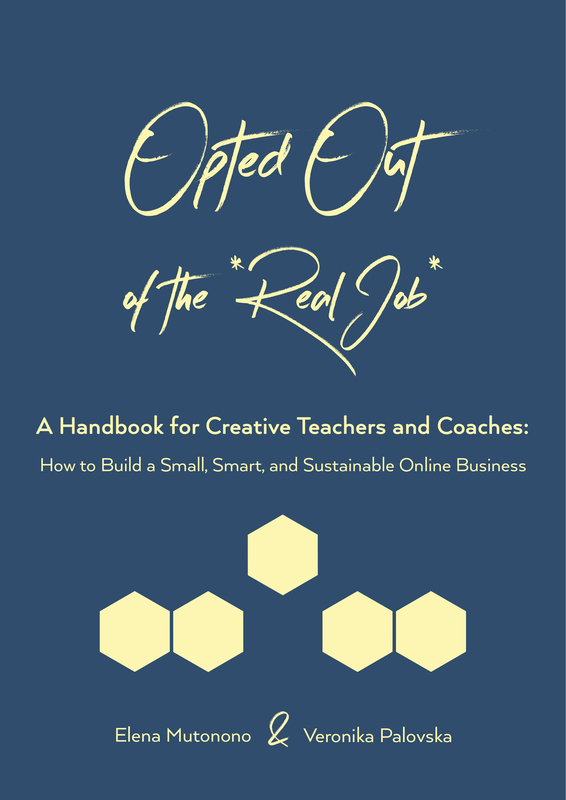 Opted Out of the *Real Job* is a map to help you on your online teaching journey. It will help you save months and years of “figuring things out” on your own, and will challenge you to think like a business owner, not just a teacher, hired by some Internet company to exchange your hours for peanuts. The book tracks our journey from the start, cuts down on overwhelm and brings clarity and focus into your Opted Out life so you can work smarter, create a small business with a big mission, impact your fans with the message of change and support your dreams of living a life on your own terms. If you want to turn your expertise into a well-mapped-out business that creates meaningful and transformative art, this book is for you.